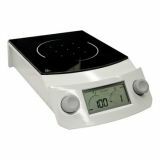 The hotplates from SI Analytics have the benefits of the glass-ceramic heating surface which has proven by millions in households. Chemical resistance, a high-grade surface quality and a resistance to temperature shock of more than 700°C provide the user maximum benefits compared to conventional hot plate materials. The always plane and pore-free surface enable even most stubborn dirt to removed simply and in a caring manner. 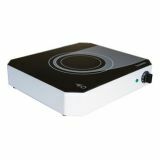 To heat up liquids quickly and safely, SI Analytics hotplates SLK 12 are the optimum solution. The heating power can be adjusted in 9 steps and heats up to 1.7 kW (with extended hotplate step 2 and the 230 V version only). Using our new SI Analytics laboratory stirrer with heating, the process of mixing liquids can be selected from careful to intense, and the device can be also be used for speedy heating up or controlled temperature adaptation.